This beautiful 1 Oz Silver coin is dedicated to the life of Diana Spencer, Princess of Wales, also known as Lady Di and first wife of Charles, Prince of Wales. The coin has a wonderful coloration, has a beautiful design, has a Rose Gold plating and comes in an elegant case, along with the Certificate of Authenticity. Limited mintage to 2.000 pieces worldwide. Diana, Princess of Wales (Diana Frances; née Spencer; 1 July 1961 – 31 August 1997), was the first wife of Charles, Prince of Wales, who is the eldest child and heir apparent of Queen Elizabeth II. Diana was born into a family of British nobility with royal ancestry and was the fourth child and third daughter of John Spencer, Viscount Althorp, and the Honourable Frances Roche. She grew up in Park House, situated on the Sandringham estate, and was educated in England and Switzerland. In 1975—after her father inherited the title of Earl Spencer—she became known as Lady Diana Spencer. She came to prominence in February 1981 when her engagement to Prince Charles was announced. 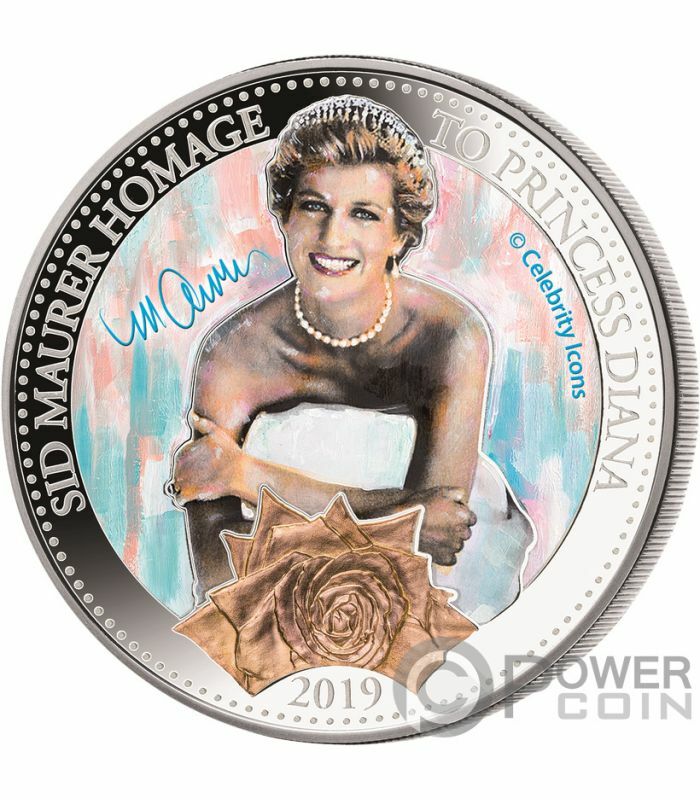 The reverse of the coin depicts the beautiful Princess Diana with a white dress and a crown on her head, surrounded by different shades of colours. 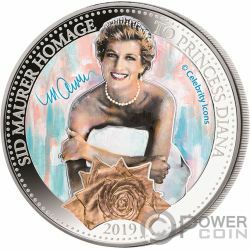 All around the reverse, the inscriptions: “SID MAURER HOMAGE TO PRINCESS DIANA” and “2019” - the year of issue. 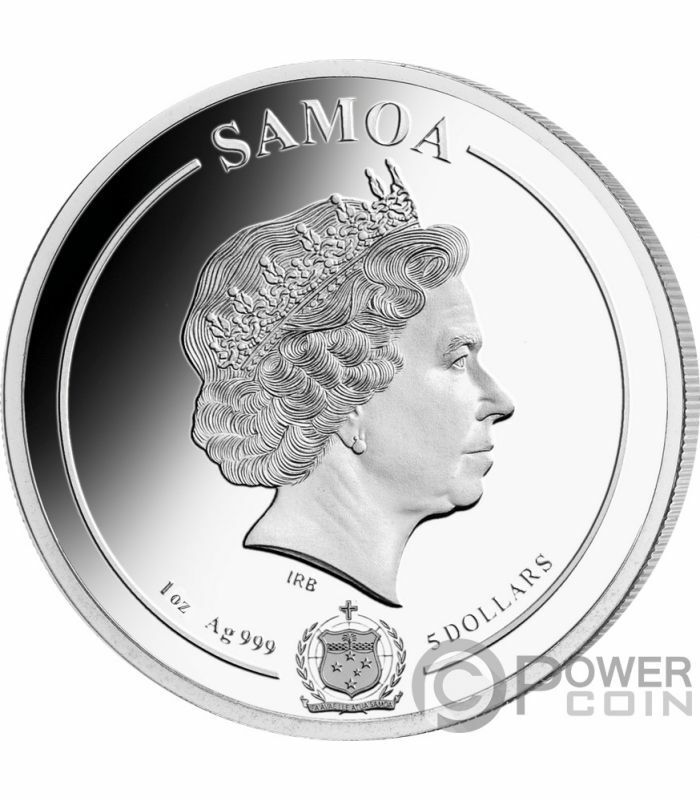 The obverse of the coin features the effigy of Her Majesty Queen Elizabeth II and the inscriptions: “SAMOA” – the issue country, “1 oz Ag 999” – weight of the coin and the fineness of the Silver and “5 DOLLARS” – the face value.